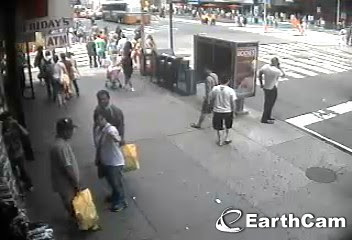 Here are some payphones that get coverage from webcams. The page is new and has so far only found the ones below. If you know of a payphone that can be seen via a webcam please let me know, and if you have the payphone's number even better! My email address is sfoswald+payphone@gmail.com. There used to be three payphones here, one had been removed. It was taken away from the left side and it's number was +12127309261. The payphones are located near the corner of 46th Street and Broadway in Times Square. This is really quite cool as the webcam gives a good few frames per second. Giving a nice steady feed. The camera moves giving different views of the square. 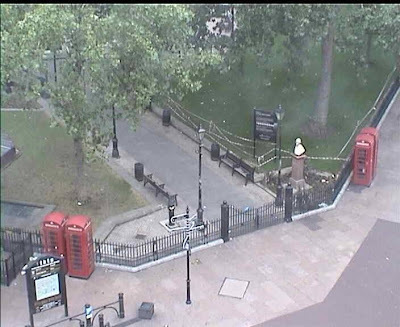 If it has moved you can change it back to the two phone boxes by selecting "Leicester Sq. Park" and clicking the "Change view" button. These payphone numbers are listed in the order of the four payphones, from left to right. These payphones get very good footfall and more than their fair share of tourist attention. The webcam frame is updated every second which is decent enough to gauge where people are. 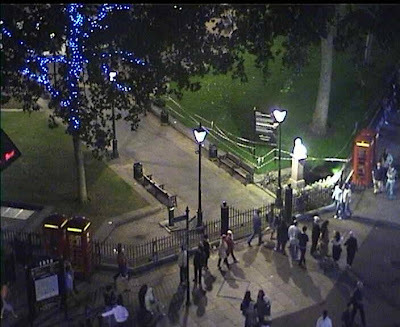 The square gets very busy during the late evenings. Not surprising as this is London's club hotspot. The place is mad busy on Friday and Saturday night. Due to all the drink consumed in the area, these payphones see more use as a toilet than for their intended purpose. 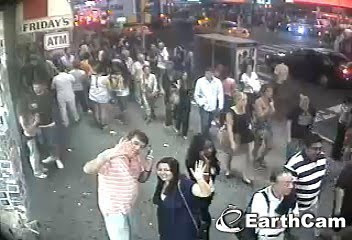 Please, if you know of any other payphones under the gaze of a webcam contact me.